There were a couple of other parkrun performances that stood out from TAC runners. Kiri Marsh ran 17.54 at Beeston, near Nottingham and James Kingston ran 16.00 as an under 17 at Bromley. 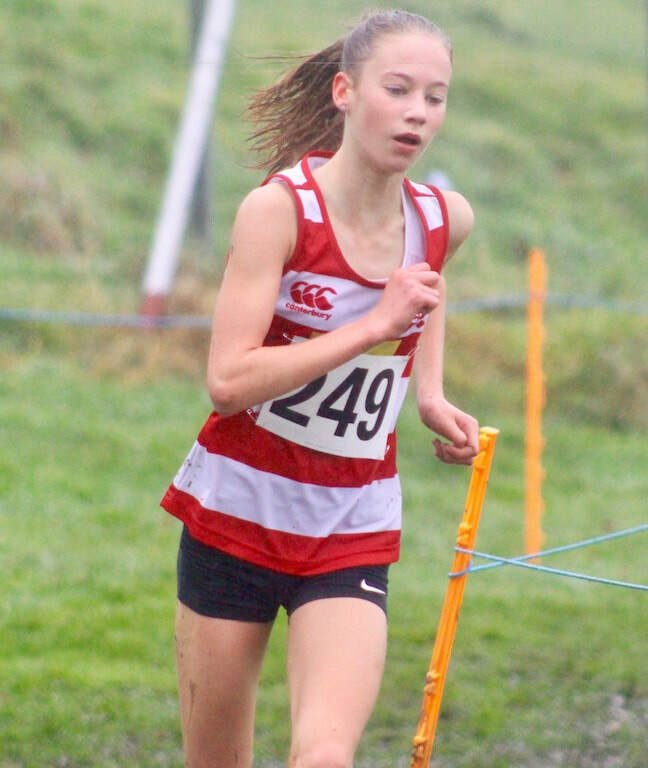 There was a primary schools and year 7 inter counties cross country, held at Loughborough, that included a win for Olivia Breed in the years 7s. I have posted the results on the Results 2018 page and highlighted a few TAC. Ben Cole ran 67.57 at the Valencia Half Marathon. The world half marathon guys started ahead of the masses so his start was delayed a few seconds, which is why the actual and chip time differ so much. Ben has broken 68 minutes previously and alongside Henry Pearce, Charlie Joslin-Allen and Max Nicholls is one of four TAC runners to go sub 70 so far in 2018. 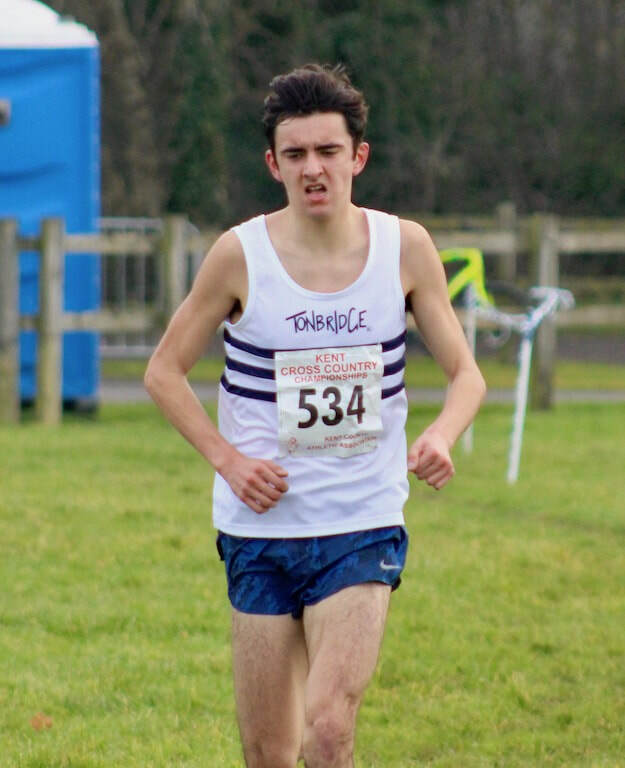 Charlie Joslin-Allen became the first TAC runner to go under 15 minutes in a parkrun when he ran 14.43 (unofficial) at Cardiff this morning. 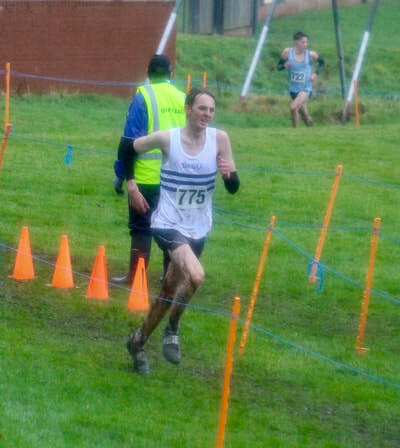 This follows on from his good form at last weekend's Hastings Half Marathon where he ran 68.52. The previous best was 15.03 set by George Duggan at Maidstone and Chris Olley at Fulham. Freezing conditions faced the 20 competitors, aged 5 to 12, but all finished and came away with a medal. Results are on the Results 2018 page. Most other races were cancelled on Sunday, but the Hastings Half Marathon went ahead. Infact Dan Madams swapped from the Fleet event to Hastings, changing on Saturday. 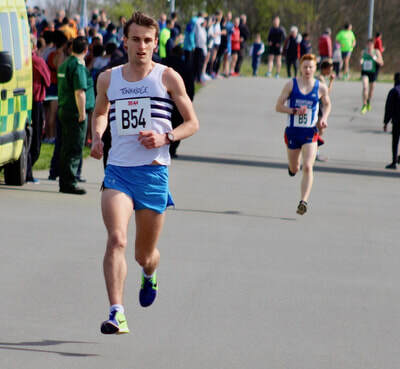 Matt Dennis ran 78.43 at the Maidstone Half Marathon, but claims it is 200m short. More news awaited. Alex Howard ran a personal best of 3.52.49 to finish 5th over 1500m at the Hornet Invitational, in California. 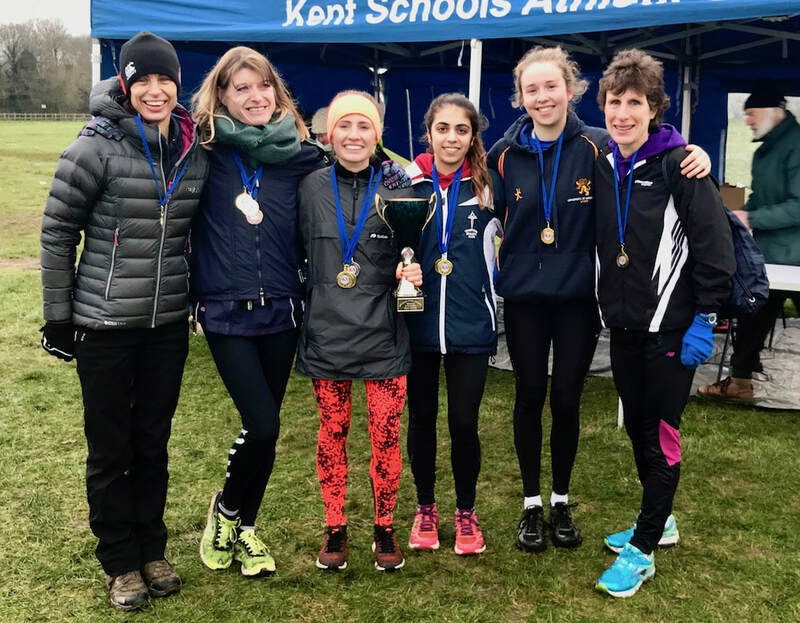 There were 17 TAC runners all representing Kent. Dom Brown ran 14.54 to finish 8th. 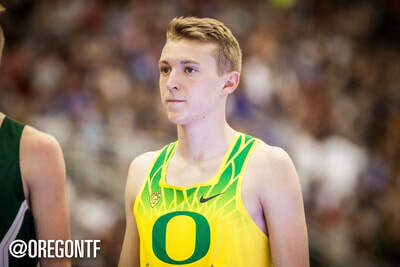 James West was competing for Oregon University in the NCAA Indoor Championships. On Friday he anchored the Distance Medley Relay (1200m, 400m, 800m, 1600m) Team and ran a 3.57.98 split to finish third. On Saturday he finished 6th in the 3000 metres final in 8.06.94, halving gone into the championships as the tenth fastest. He ran the last 1400m in 3.35, so around 3.49 probably for the second half of the race. They include World indoor records for the mens 400m and 4x400m ! Photos below of the TAC top 25 finishers. More photos on Mark Hookway Facebook page. Chris Olley (20.46) and Max Nicholls (21.20) ran the two fastest laps of the day, at Oxford. They were running for the Imperial University and Kings College London, Mixed teams. Not sure what I am potentially opening myself up to but I (Mark Hookway) recorded a Trackside Podcast all on my own. The team have been so busy the last few weeks that we haven’t been able to get together for a full discussion, but hopefully this episode helps fill a void. I felt that I had to do something as I keep getting questions about when we were recording next ! So in this episode I explain some of the events that I have attended over the last few weeks, plus highlight some performances at home and across the world. I also raise a few questions and discussion points where any feedback would be greatly appreciated. Both Korede Fasina and James Kingston won the Junior and Inter races, at Harrow. Matthew Dubery was second to Korede and Adam Van der Plas 4th in the Inter race. Full results are on the Results 2018 page. Alex Howard finished second in an outdoor 3000m in 8.31 (unofficial) which would be a pb. 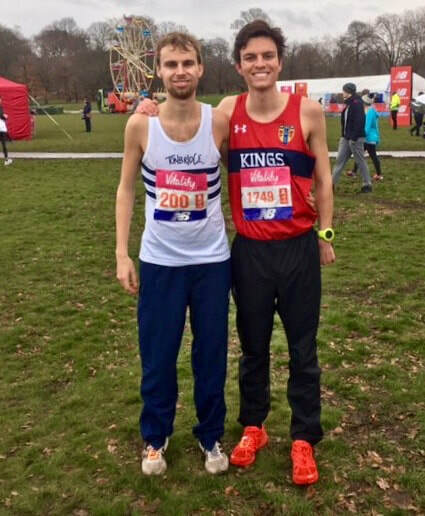 Henry Pearce, who is targeting the London Half Marathon, broke the TAC club record held by Ben Reynolds, since 1988. Henry ran 65.49 to finish 10th overall in the race won by Mo Farah in 61.39. Anybody else ? Please let me know. Just finished watching the videos of the Nationals. Although I was sat at home resting it looked like the sort of crisp, bright winter’s day that makes you glad to be alive. And what better way to spend it than in shorts and a vest running round Parliament Hill with the wind in your face and the sheer exhilaration of stretching your legs as you strive to be faster than ever before. After I saw the entry list I felt that the SM result was on the cards but there is many a slip b’twixt cup and lip and no-one could predict how emphatic the victory would be. To emphasis the point, the second six would have come 8th . The rest of the team results were perhaps a little disappointing on the whole, perhaps because the number of entries and hence the level of competition was high. However, within all races there were minor triumphs as many athletes surpassed expectations. And it is the actual exceeding the expected that is the essence of Fantasy League both for individuals with their averages and teams; where managers have to predict who they believe will beat their handicap over the course of the season. Howeve,r it is probably fitting to start with participation. The Nationals tally of 150 finishers (28 up on last year) included 15 making their 17/18 FXC debut; which brought the total to 235 for the season (18 up on last year). Within this there was a select group who completed all ranking events: O Breed, B Heslop, F Gordon, J Stoney, D Seagrove and of course the FL most consistent runner – S Puxty. Not surprisingly all but one averaged over 100ppm. C Olley was the leading scorer with 1,261 points with L Reid leading lady with 567 for the day and 1,138 for the season – all records. Ben Cole returns as leading scorer for the season with 1,794. 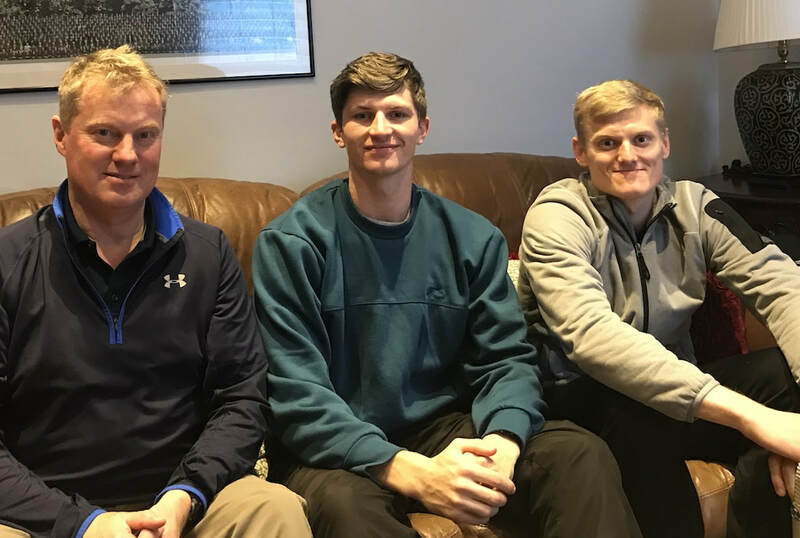 O Breed and F Gordon were the first junior athletes ever to score 1,000 points for the season. Best average on the day was 294ppm from A Lopez-Caseras. Best average for the season was 574ppm from G Hopkins (U13B) - an astounding score. 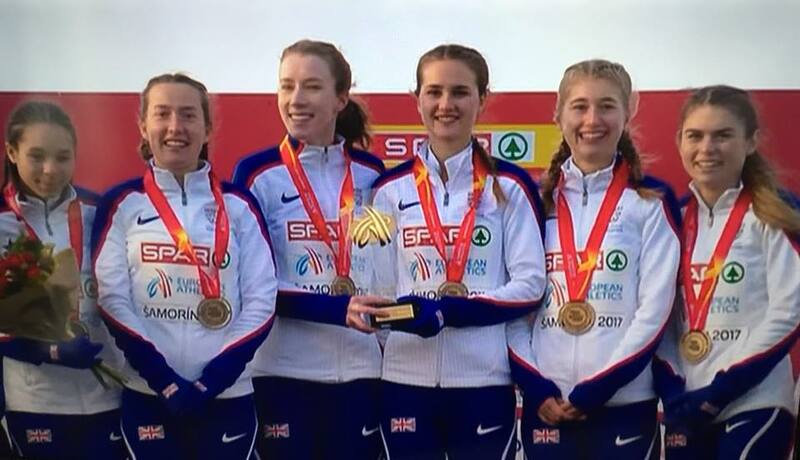 Other mentions in despatches today –there could be lots but I have to limit it- S Brown who to most people’s surprise topped the batting order in the U20M race coming in 25th, thus proving that beer and skittles in the Loughborough Dog and Duck trumps hard miles any day; the U13G team, 3 of whom have next year in the same age group to look forward to; J Kingston (U17M) who has gone from strength to strength this season, this team is looking exciting for next year also; U17W team who have been such a consistent and dedicated bunch for the whole year; and of course the Masters athletes who again turned out in record numbers with several earning severe cuts to their handicaps next year. The Bullseye Club expanded to a record 131 including 58 athletes on 100+ppm. With hindsight the pricing looks slightly on the generous side, but higher participation particularly in the Nationals contributed to higher scoring than expected and indeed the top 10 averages were from unknown athletes or those not expected to run. Enough excuses, note to self – must do better. This week’s victor in the A team category (6 athletes; one athlete from each age group) was Alex Hookway’s Olley Olley Olley Oi Oi Oi team of S Slack, K Goodge, T Hall, C Payas, C Olley and S Houghton with 1,992points. In the B team category (6 athletes from any age group) the best score of the day was from M Ellis’ Kenya Run Any Faster team of R F-R, H Pearce, C Olley, K Marsh, O Breed and M Heslop with 2,639 points. The best Player Manager was also M Ellis with his Got the Runs team of himself, B Cole, R Driscoll, C Payas, A Roeder and J Keywood with 2,110 points. And finally the best Bargain Team was A Roeder’s Budget team of himself, R Driscoll, L Reeves, L Slack, R de Munck and C Lee. Which brings us to the results for the season. As usual the Nationals result has brought new teams to the fore and seen some slip down the table. The delay in these results is because I have been over the numbers several times looking for mistakes to invalidate this result; but to no avail. So, the winner is my training partner and TAC’s answer to Geoff Capes – A Hookway with his appropriately named Peaking for the Nationals team of H Paton, G Cole, K Reilly, D Brown, R Driscoll and J Bryant with a record 5,253 points. So the answer to the question I posed last week is “No”. In second place and leading Player / Manager team is M Ellis’ Got the Runs team (as above) with 5,062 points. And third and leading ‘A’ team is another track legend, Iain Presnell with his Sprint Finishers team of O Breed, F Croll, D Schofield, J Puxty, R Driscoll and M Heslop with 4,994 points. Finally in the Bargain basement section JT’s Sloggers team of A Roeder, D Brown, J Bingham, A Thompson, M Dubery and G Hopkins hangs on to win with 3,695 points and takes the prize for best team average of 164ppm. Hopefully there will be no Tears on the Telephone over these results!! And finally the Name of the Season is The Hills are Alive With the Sound of Asics – Amber Crush. It’s just so good!! PS. On a sad note, it was a bit of a struggle raising interest for Fantasy League this year – I had hoped for 3 times as many entries as were eventually received. Therefore unless there is a groundswell of popular support for this at the beginning of next season I will not be running the competition next year. I may however keep athlete scores going just because I don’t get out that much and it keeps me amused. Full results can be found on the Results 2018 page. 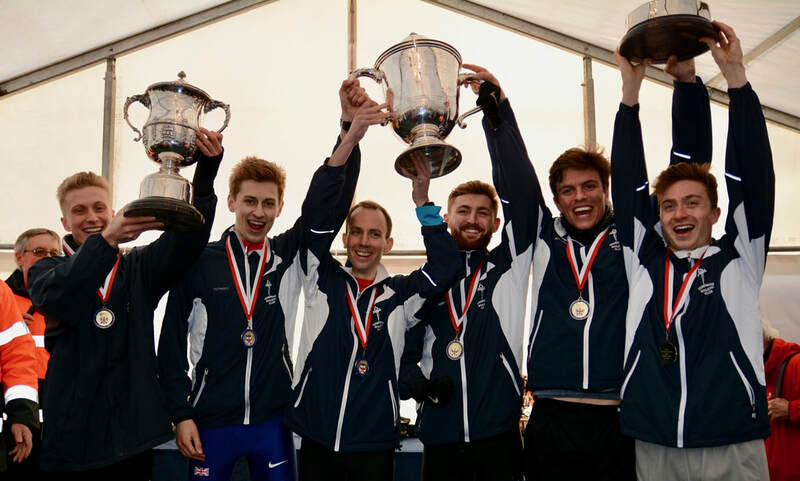 It was an incredible performance by the TAC mens team to retain the title, but this time around it was totally different circumstances. Last year it was a surprise to win by just 4 points whereas this year the squad stamped their authority on the race from the start to win by 160 points. 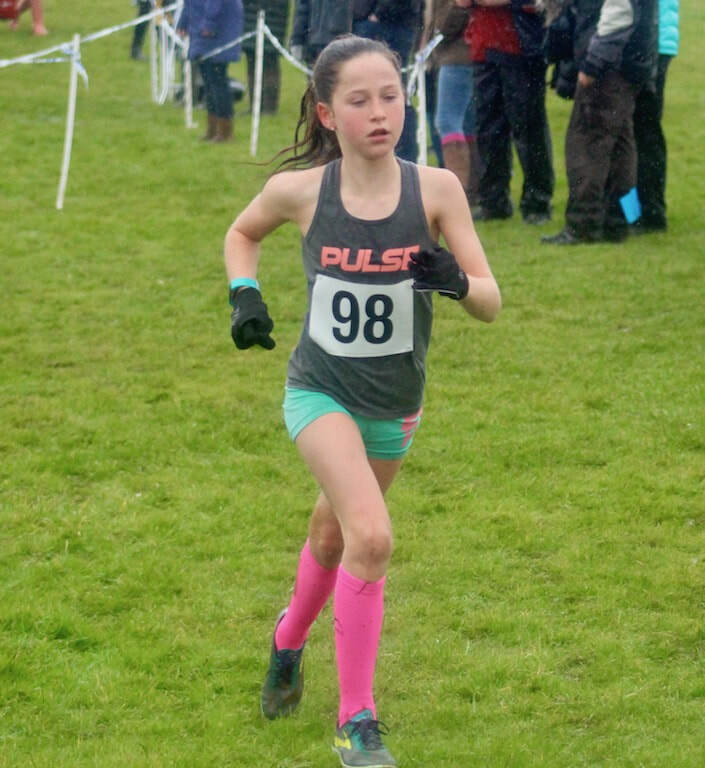 Olivia Breed's silver medal winning performance in the under 13s shouldn't go unnoticed and is the best position in this age group since Julie Adkin (Goodge) won in 1985 ! A TAC record number of 155 started, breaking last years best of 130. ​Starting number records were set by u13 boys, u20 men, senior men, u17 women and senior women. ​I have posted a lot of photos on my Facebook page, although still have to sort the Awards Dinner ones. The 'National' returns to Parliament Hill on Saturday and TAC are due to have teams in all 10 events. ​If you are competing or supporting please read the details on the Race Information page. Simon Coppard ran 1.57.13 to finish third in his heat of the under 20 mens 800m. This wasn't enough to progress to Sunday's final. One race to go ! Another change at the top as Sarah Schofield leaps into the lead with 3563 points with her What the Hill team of S Fraser, J Bryant, D Seagrove, D Schofield, J Kingston and F Gordon. This whole team is slated to run in the Nationals BUT with only 200 points between the top 9 teams it is too close to call. With 170+ entries this year the Nationals will be a high scoring affair with the TAC running order in the deciding event of the day – the SM Race – particularly hard to predict. The winning team the last two years has included either the first or second TAC runner from this last race – will it be so this year? See Ian's full report and league tables, including the best performing athletes on the Fantasy League page. TAC had four distance runners qualify and compete at the championships. ​Sean Molloy was unlucky not to make the 800 metres final. He finished second in heat 1 of 3, losing to the eventual champion, Elliot Giles. Unfortunately, Sean's time was not quite quick enough to get one of the three fastest loser spots. 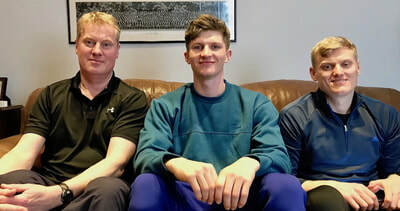 Robbie Farnham-Rose, Chris Olley and Ryan Driscoll all contested the 3000 metres final, which was the first time ever that the club would have had three in a national senior final. Ryan was out of sorts and struggled, whilst Robbie and Chris finished 4th and 5th in a terrific race, as they clocked 7.57.40 and 7.57.63, respectively. This was an outright pb for Chris. 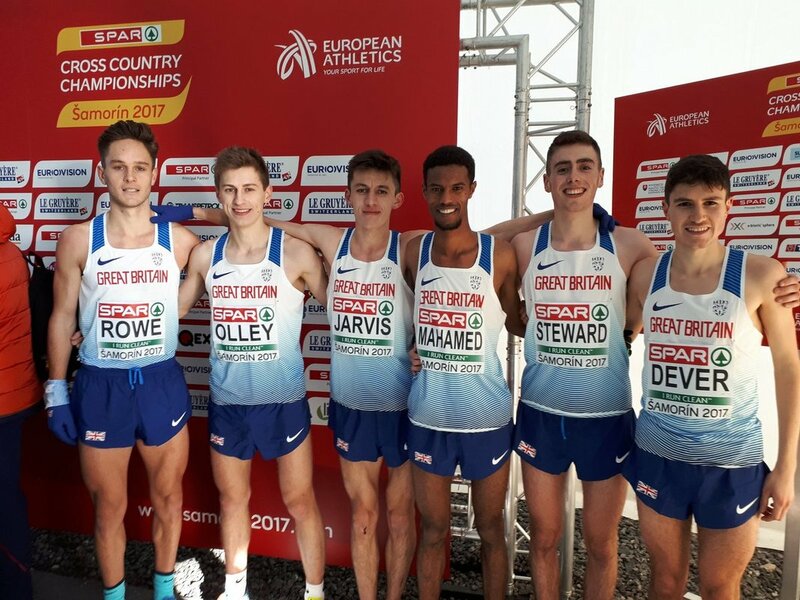 The highlight was three TAC runners qualifying for the men's 1500m final, where Dom Brown finished 2nd, Kieran Reilly 4th and Charlie Joslin-Allen 8th. Ben Murphy and Kieran Eland made the 800m semi finals. Michael Ellis also deserves a special mention for reducing his outright 3000m pb by sixteen seconds to 8.51.52. 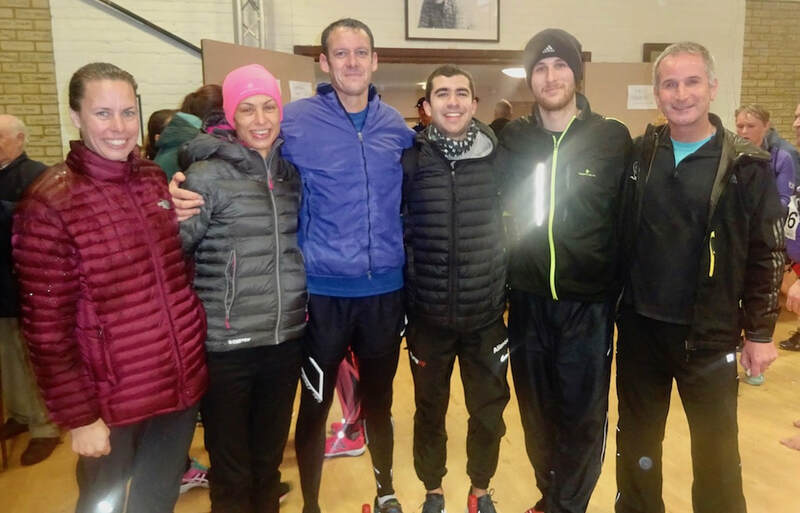 There were 27 runners in the latest of the monthly one mile races, on Sunday. TAC's Emily Geake was the first of the girls home in 6.42, whilst Tom Daley was 2nd overall in 6.11, with Harrison Fraser 3rd in 6.21. TAC packed quite a few near the front of the half marathon and the official results show that there were sixteen TAC in total. 3rd Julian Rendall 73.16 (TAC M40 record), 5th Greg Cole 75.49, 6th Dan Blades 77.12 (pb), 10th Henry Willis 79.40 (PB), 11th Matt Dennis 79.41 (pb). Maria Heslop ran 82.25 for 19th overall and 1st lady, also smashing Sally Musson's club over 50 women's record. Infact its quicker than the TAC mens over 50 record ! Tina Oldershaw was second and Penny Pilbeam 9th to win the team prize. Ashley Gibson won the womens race in 28.13 and finished 6th overall. George Duggan ran 14.29 for 5k on the roads in this international road race, which was incredibly only good enough for 33rd place, as 93 runners broke 15 minutes ! ​Henry Pearce sub 50 minutes for 10 miles ! Henry Pearce, who is preparing for his marathon debut at London, won his first race of his build up at Bramley, near Guildford, in 49.54. Henry won by almost four minutes and I suspect the last time a Tonbridge athlete broke 50 minutes was in the 1980s ! Max Nicholls, respresenting an England senior mens team placed 18th at this meeting. 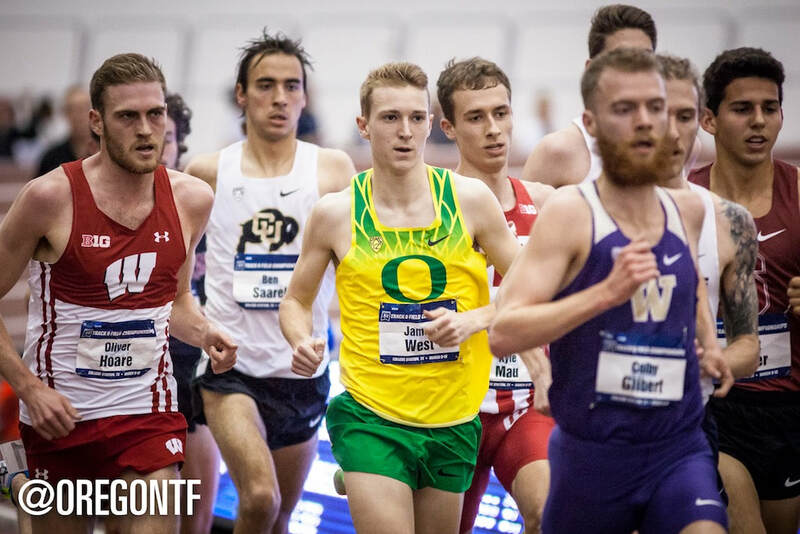 James West goes to 27th on the UK all time list at indoor 3000 metres ! On Friday Alex Howard ran his debut track 5000 metres and recorded 14.59.16 in race 4. This was a TAC indoor record and the second fastest time in TAC history, indoors or out. Only Mark Scrutton's time of 7.50.38 set at Crystal Palace in 1983 is better. Three runners and myself (Mark Hookway) travelled to the international indoor meeting at Ghent for the first time. Sean Molloy came away with an indoor personal best for 800 metres of 1.50.89 but there was disappointment for Robbie Farnham-Rose (8.13.89) and Ryan Driscoll (8.20.82), who were well below their bests. Jamie Goodge, running for Loughborough University, finished 21st and won the overall under 20 mens league title. ​Full results are here - www.birminghamccleague.co.uk/images/stories/bdccl/articlepdfs/XC_League_Archive/2017-18/2018-02-10-M1.pdf. 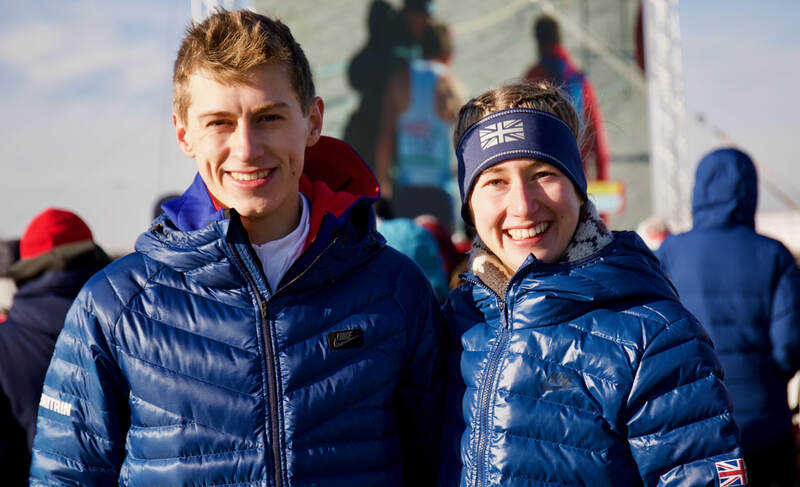 Nicole Taylor took an excellent win in the women's race, with Jamie Bryant winning the overall men's title, after finishing third on the day. Maria Heslop placed 4th on the day but it was enough to capture the overall women's league title. The men lost out in the final league table to Medway and Maidstone in the 4 to score competition, but won the 12 to score, whilst the women won the 3 and 6 to score competitions on the day, but finished second to Dartford in both categories in the overall standings. Full results are on the Results 2018 page, including the final league tables. 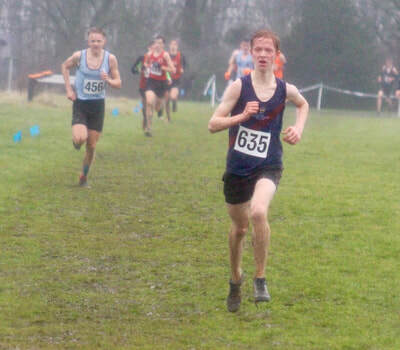 Judd School boys and Sevenoaks School girls both had commanding wins at these prestigious cross country relays. I believe that nine of the ten runners involved were TAC members. Will Beeston 12.07, Adam Van der Plas 12.18, Dan Schofield 11.50, Toby Emm 12.08, James Kingston 11.44 and Isaac Harding 12.06. 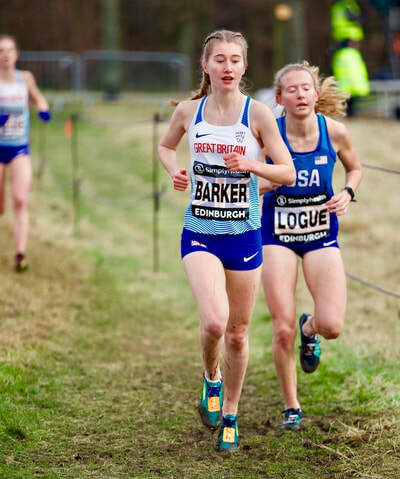 Phoebe Barker ran the fastest girls lap. Sean Molloy ran 1.51.58, which is intact an indoor 800m pb, but was disappointed to finish third (view loaded). Simon Coppard ran 1.57.70 in the C race. 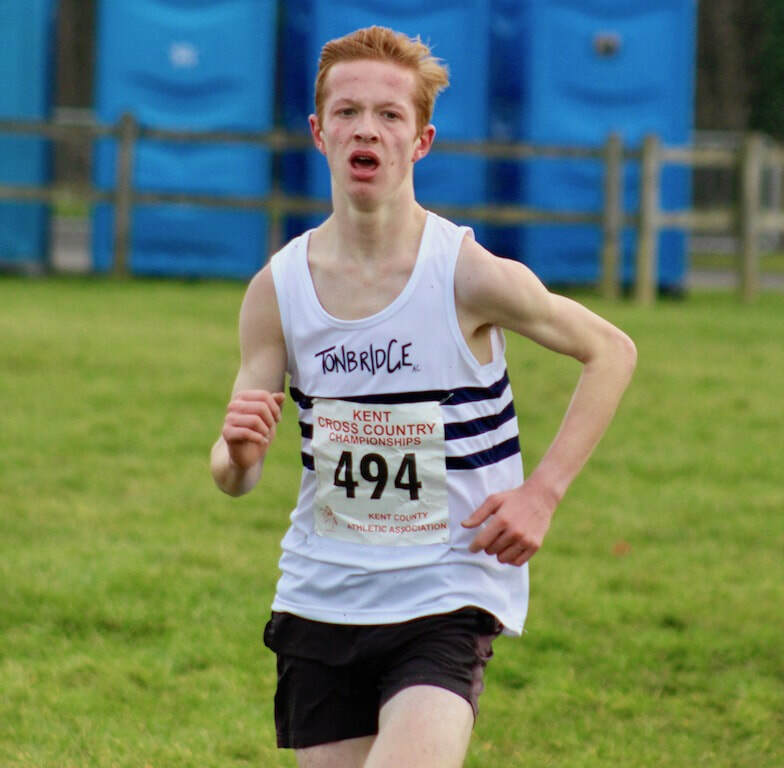 Max Nicholls has been selected to run for an England team that travels to Roselare in Belgium for a race on 11th February. At Ashford Tonbridge placed four men in the top eight through 4th Harry Paton 33.16, 5th Angel López-Cáceres 33.28, 7th Julian Rendall 33.37 and 8th Dan Bradley 34.03. Rendall’s time broke the club over 40 age group record. One of the outstanding runs of the weekend came from Maria Heslop who ran 36.38 to be the first over 50 age group female home, at the Chichester 10km road race. This not only broke the Tonbridge age group record, but is the seventh fastest time ever by a GB athlete, as an over 50. TAC men finished 8th of 22 teams. 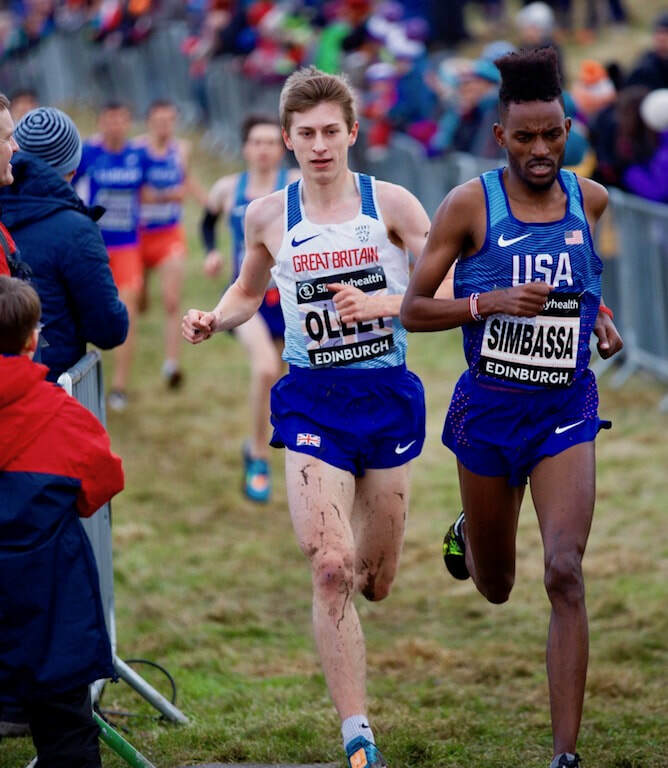 Robbie Farnham-Rose had a great run in 15th, amongst some of the best distance runners in Europe, with Max Nicholls 45th, Ryan Driscoll 46th, Ben Cole 53rd, Charlie Joslin-Allen 78th and Jamie Bryant 81st. There were plenty of Tonbridge runners competing for their universities at the British Universities and Colleges Country Championships, at Hillingdon. The mens A- race, over twelve kilometres, saw teams of the best six from each university compete, with around 350 finishing. Chris Olley continued his terrific Winter form and was with the four runners who broke away at the front after halfway. At one stage Olley was dropped by the three ahead, but rallied to come through to second over the last mile, finishing less than three seconds behind the winner, Alex Yee. Nathan Marsh, running for Leeds, was the next Tonbridge runner home in 28th, whilst his sister Kiri, racing for Nottingham, was 82nd in the women’s race, which had more than seven hundred finishers. 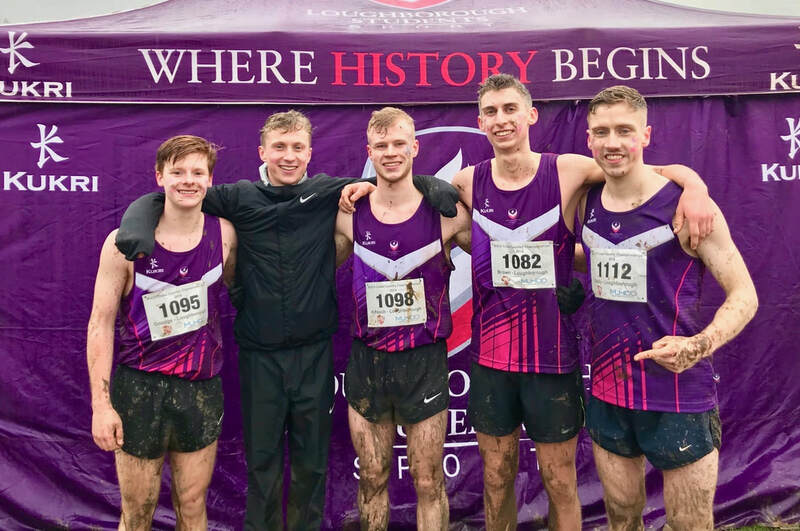 George Duggan finished around 16th but the Loughborough team were disqualified for not meeting team declaration time slots ! The men’s B-race, for those outside the top six at their university, also had a large field with more than 560 finishers. 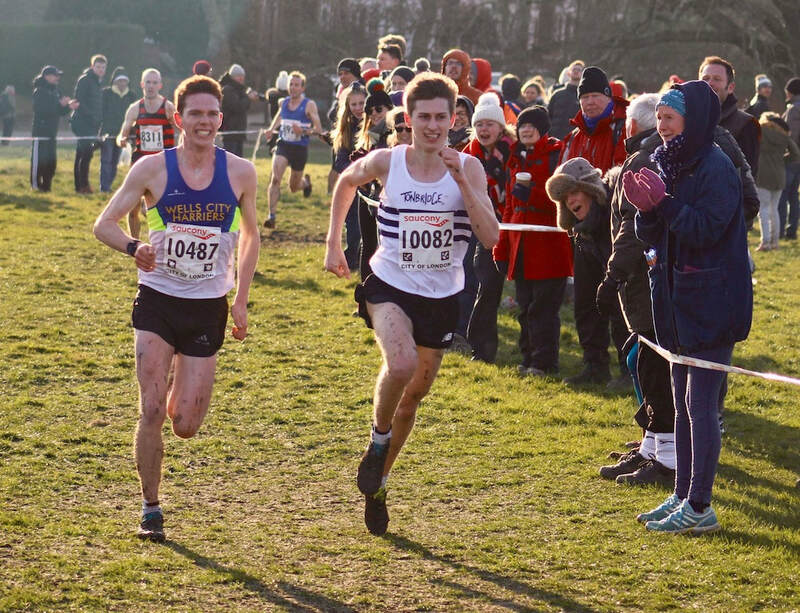 Three Tonbridge runners finished in the top ten, all representing Loughborough, with Kieran Reilly 2nd, Jamie Goodge 5th and Alasdair Kinloch 8th. Full results are on the Results 2018 page with TAC highlighted. 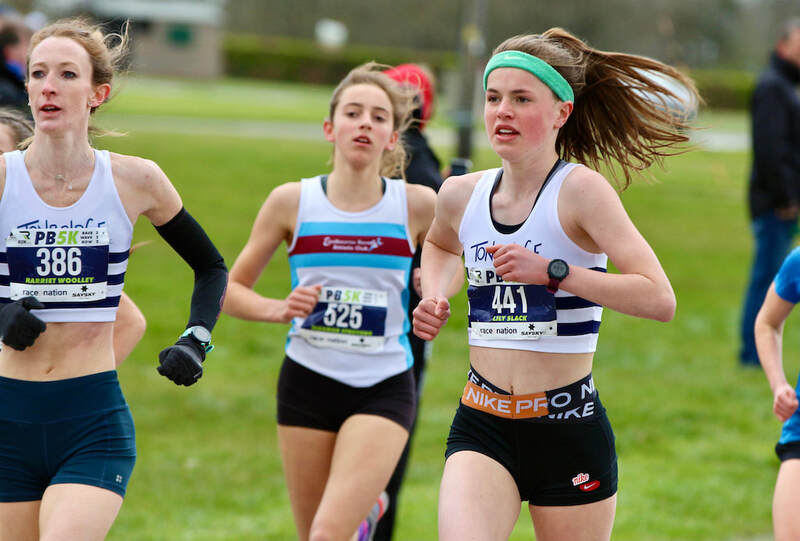 Full results are on the Results 2018 page, with TAC runners highlighted. Dan Schofield was the 5th in the senior boys race, Matthew Taylor 4th in the Juniors and Katie Goodge 8th in the Inter Girls. 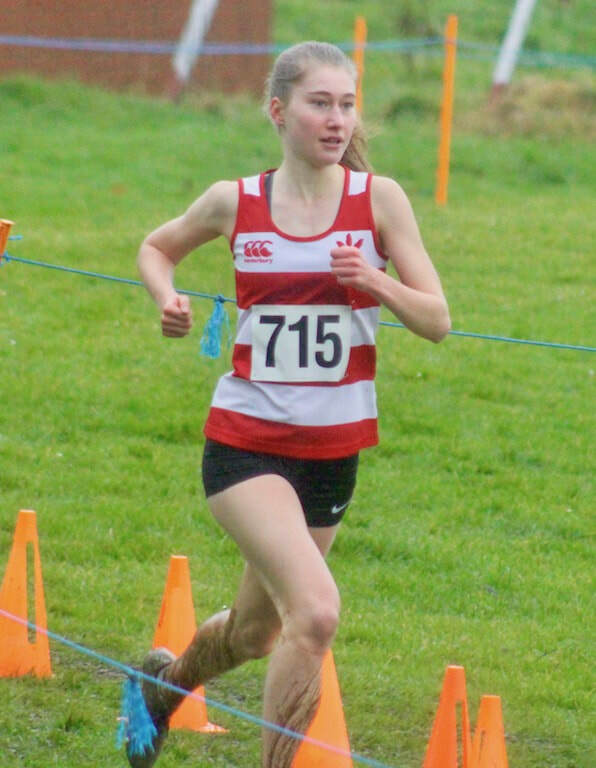 It was particularly pleasing to see Kathleen Faes back in action and finishing 12th in the senior girls event. For the first time ever a 'paper match' was held as TAC did not attended these championships. FL organiser spent long hours in research to ensure a 'fair' result, as this event had to be included in the calculations. See his explanation with the league tables on the Fantasy League page.